The Xiaomi Mi A2 is a pure Android midrange monster with a great camera! Here at Review Hub, we were massive fans of the Xiaomi Mi A1. As I said in that review, it was a great value phone, well executed and incredibly easy to recommend. 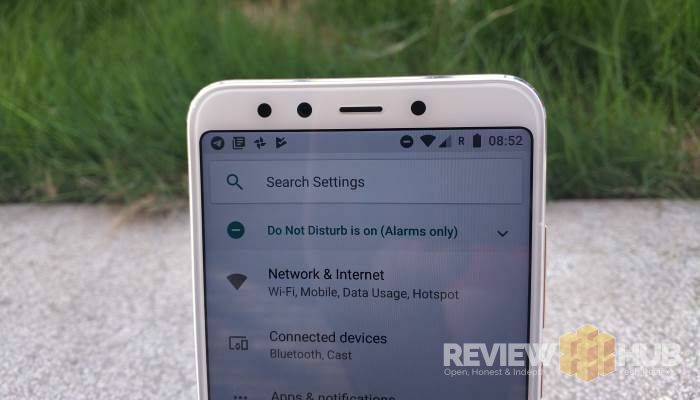 Xiaomi have never been a manufacturer to rest on their laurels though, and with the release of the Xiaomi Mi A2, they’ve taken everything that was good about the Mi A1 and turned it up to 11! With an improved CPU, more RAM, better camera performance and a larger screen, the Mi A2 certainly doesn’t leave anything in the locker room. Before we jump into the full review, let’s go through the Pros and Cons. Design-wise, the Mi A2 definitely goes for evolution over revolution when compared to the Mi A1. They’re almost identical in dimensions and weight, albeit the Mi A2 is around 3mm taller which is accounted for by the larger screen. The other main difference is the dual camera, which is now arranged vertically, like an iPhone, with the flash in between the 2 lenses. 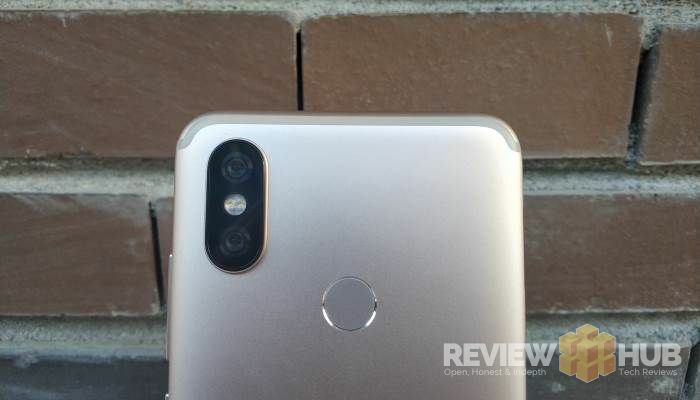 Unfortunately, given the extra tech in the camera, and the Mi A2’s exceptionally thin body, the camera protrudes in a hump. It’s not ideal, but it’s a compromise that plenty of other super-slim phones have had to make. If you’re familiar with the Redmi Note 5, Redmi 5 Plus, Mi Mix 2S or Black Shark, you’ll know what the Mi A2’s screen is all about. We’ve seen a lot of Xiaomi’s tried and tested Full HD+, 18:9 ratio, 5.99 inch display this year, and it’s still a great choice. 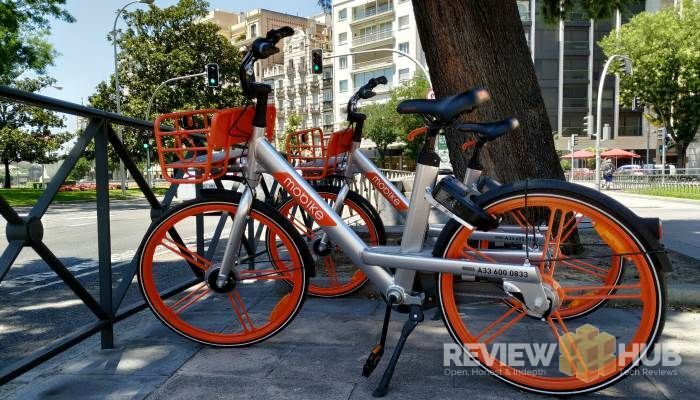 Testing the Mi A2 in sunny Madrid I did find that at times the screen could be a little brighter, but on the whole, this is a display that has a lot going for it. But… As we’ve pointed out time and time again, ‘double bezels’ are not acceptable! If I turn on the display and see that I’ve lost another mm of screen size due to a previously hidden black border, I get really sad. Please can we ditch this design faux pas in the future Xiaomi? 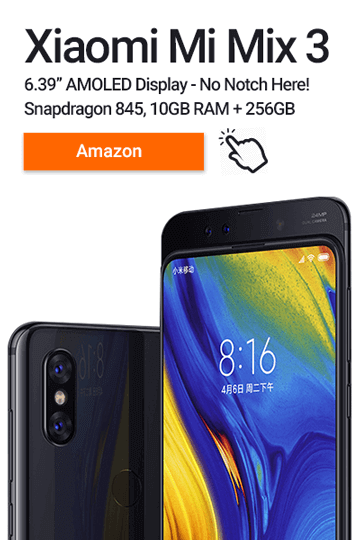 Seeing as the original Mi A1 had the almost ubiquitous Snapdragon 625 CPU, the obvious upgrade choice would have been the 636 that we saw in the Redmi Note 5, right? Wrong! Xiaomi have exceeded expectations by arming the Mi A2 with their awesome Snapdragon 660 CPU, which we first saw in the Elephone U Pro – this is a premium midrange CPU that thinks it’s a flagship CPU with performance that sits only a little below the Snapdragon 821 found in Google’s Pixel XL. As we can see from the below Antutu and Geekbench results, the Mi A2 is operating right at the top of what we can expect from a midrange smartphone. The benchmark scores are backed up in daily use, where I’ve experienced no lag or slowdown. The Adreno 512 is also a very capable GPU, but this is perhaps the only real nod to the midrange, and 3D gaming was noticeably less smooth than on the Mi 6. There are 3 versions of the Mi A2 starting with an entry level 4GB RAM/32GB storage model, though 4GB/64GB and 6GB/128GB versions available too. With the operating system taking up around 14GB I expect the 4GB/64GB model will be most popular. Finally, software wise the Mi A2 is running, as you’d expect, vanilla Android Oreo (8.1.0) with the latest security patch. Google have also confirmed that the Mi A2 will be one of the first devices to get Android P when it launches. Simply put, the camera performance of the Mi A2 was amazing. While I was a pretty big fan of photos taken by the Mi A1, I found that it struggled in low-light, or shooting subjects that tend not to stay still for too long such as kids and animals. Xiaomi obviously thought the same, and the Mi A2 camera has had a massive overhaul. With a main 12MP snapper, and a 20MP deputy with larger 2 µm pixels which excels in lower light, results are excellent. Colours are vibrant but lifelike and resolved detail is very good. In auto mode, the phone will automatically switch between the 12MP and 20MP cameras depending on light condition which prevents shots from blowing out or looking too dark. Portrait mode is aided by an AI mode, enabling what Xiaomi call ‘semantic segmentation’. In practice, this means that the edge detection is greatly improved from the (also excellent) camera on the Xiaomi Mi 6, which sometimes produced portraits that looked a little fuzzy around the edges. Portraits taken on the Mi A2 have sharper edges and even group portraits look great. Xiaomi Mi A2 – Photo Samples on Twitter. The enhanced selfie camera has the same 20MP unit that is on the rear, and now comes with a flash for extra help in low light conditions. Even though it’s a single camera, the portrait selfies look great. With a battery marginally smaller than Mi A2 I did have my concerns in this department. With such a thin body, Xiaomi only managed to fit a 3010mAh battery inside. Confession time, I’ve been absolutely abusing the Mi A2 over the last couple of days, taking dozens and dozens of photos, recording loads more video that I usually do and I’ve been relatively surprised with the battery’s longevity. 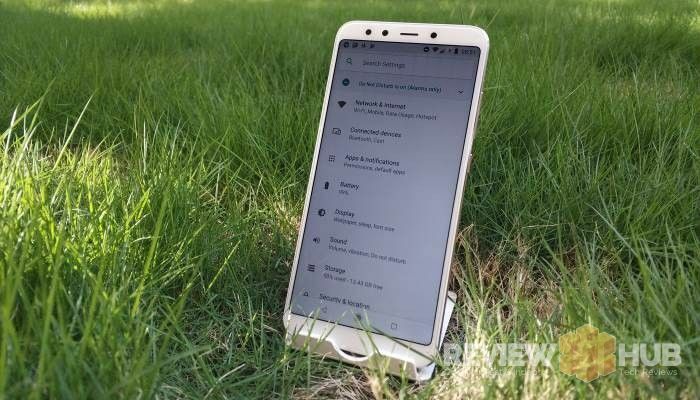 The Mi A2 certainly isn’t going to be a battery champ like the Redmi 5 Plus, but it will easily last a full day of moderate use. Another benefit is the inclusion of Quick Charge 3, though you’ll need to get a better charger than the bundled 5V/2A one. Walking around a city that I’m unfamiliar with, I’ve found the compass on the Mi A2 to be better than the one on my Mi 6. NFC would be nice, but it’s hard to find at this price-point. The headphone jack is gone for good, which is a shame, but you do get a USB Type-C audio adapter which almost makes up for it. As it’s aimed at a global audience, the Mi A2 also supports LTE Band 20 for full UK 4G coverage. 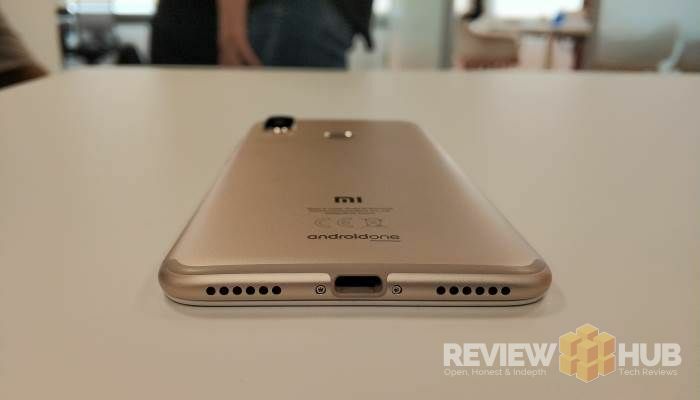 The Mi A2 is so much more than a 2018 version of the Mi A1 (leave that to the Mi A2 Lite…) With a ‘premium midrange’ CPU under the hood, the relative price increase over the Mi A1 is more than justified. Add into that the simply outstanding camera and we are edging ever-closer to the ‘sub-flagship’ territory that the Honor 10 or Huawei P20 operate in, at a significantly lower price. 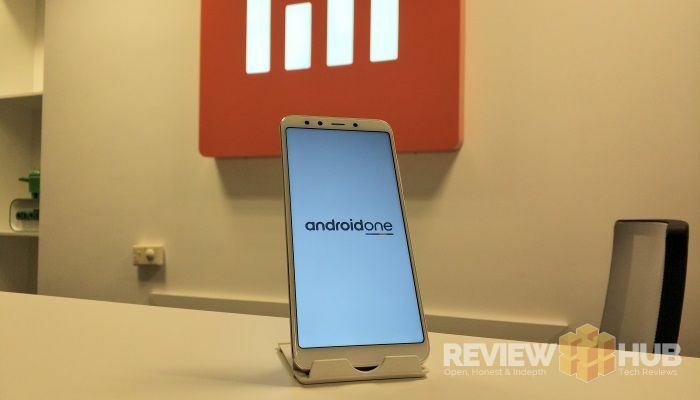 It’s fair to say that the Mi A1 was a very good phone, it had a lot of fans and given the break from the divisive MIUI OS was a very bold step by Xiaomi. 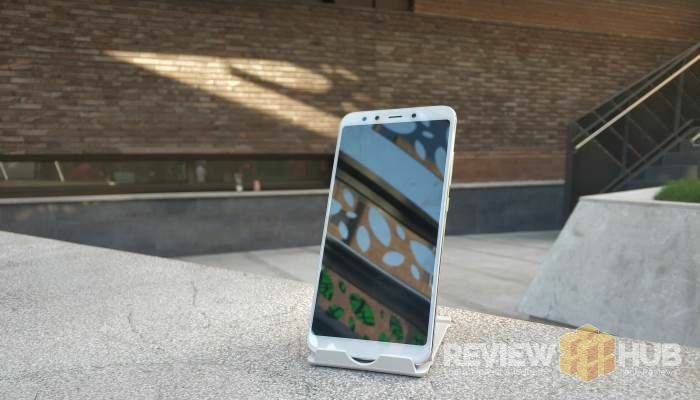 The Mi A2 has taken that winning formula and improved it in every way possible, exceeding my own expectations in the process. 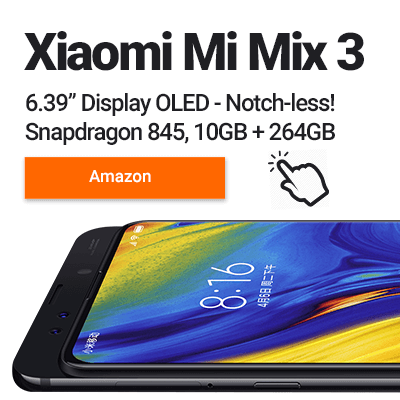 Xiaomi have made no secret of their desire to move into the Western Europe market more and more, and with the Mi A2 they have the perfect combination of killer hardware, familiar software and jaw-dropping pricing. Resistance is futile! Well-established tech-fiend, I've been fiddling with bits and bytes since the 80s. I can remember when computers read cassette tapes, mobile phones had bendy aerials and VR started and stopped with The Lawnmower Man.